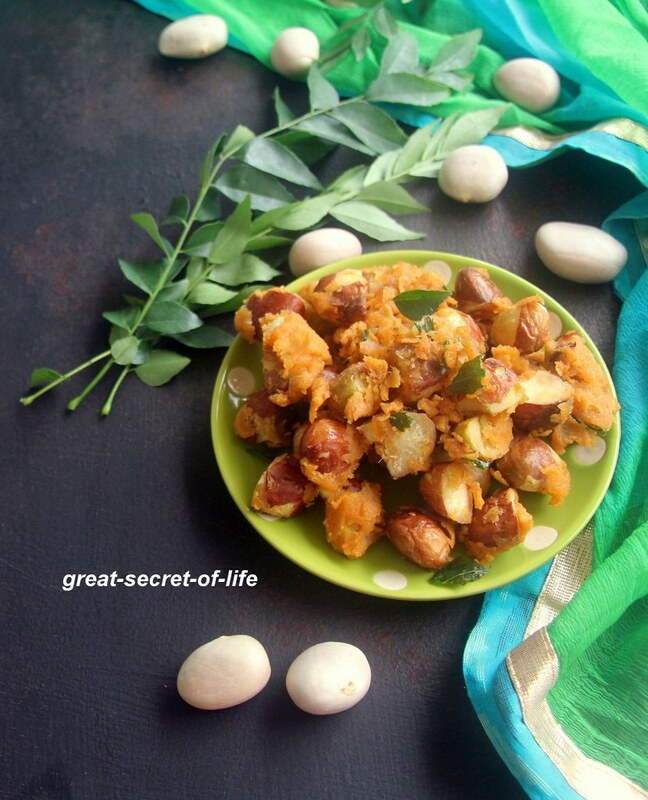 I normally make jack fruit seeds sambar. 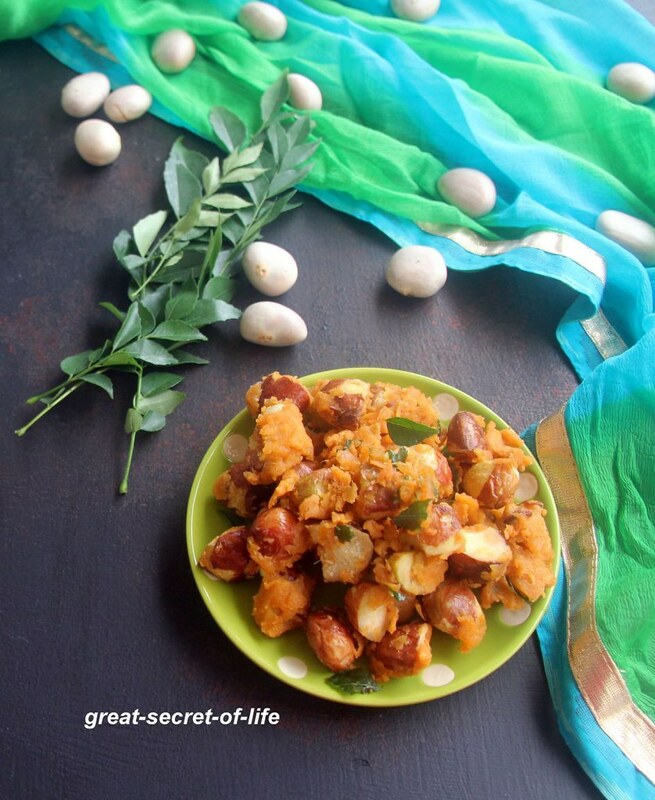 For making jack fruit seeds sambar I need to buy a few packs of jack fruits and use it. These days you get seeds alone which is good. 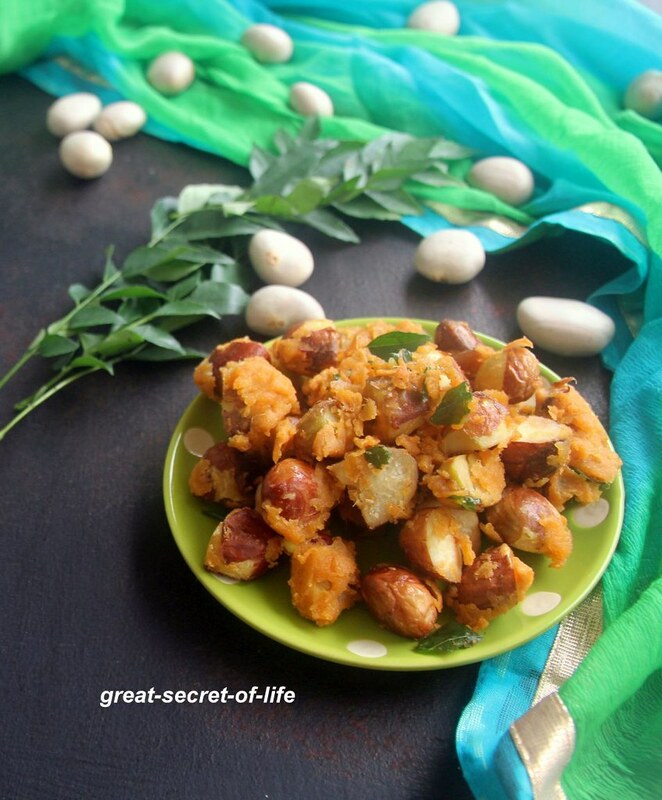 I saw jack fruit seeds pakora in few blogs. Since I had some jack fruit seeds I decided to try it out. It came out crispy. This is different than normal pakoda as it has less flour.. It can be good for tea time or after school snacks for the kids. I didn't mash it completely I prefer to have little chunks. You can serve with ketchup or coconut chutney. it is definitely a keeper recipe. Remove outer white skin, Cook Jack fruit 3/4th in a water and salt. Add Rice flour, beasn flour, corn flour, hing, ginger paste, garlic paste, curry leaves, salt, red chilli powder. Mix well with required water. Make sure each jack fruit seeds coated with flour. Keep it aside for 10 mins. Heat oil for deep frying. Add Marinated Jack fruit and fry till they are crisp. Drain extra oil. Take it out and place it on kitchen tissue and let it absorb the oil.